We’ve long ago abandoned the notion of sending and receiving fewer emails. Now, we simply accept an overflowing inbox as the norm and instead look for ways to manage the mess. Years ago, Google launched an inbox decluttering initiative that gave us Gmail categories and Inbox by Gmail. Microsoft Outlook has taken a swipe at it, too, with its Clutter folder, which contains low priority emails. 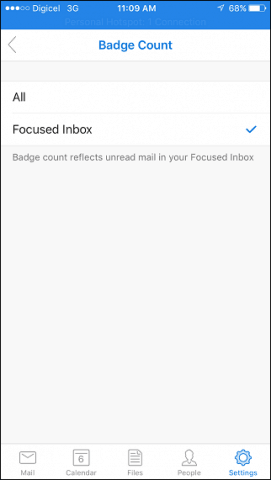 Now, Microsoft is rolling out another feature aimed at helping you sort through the avalanche of emails: Focused Inbox. Focused Inbox is sort of the opposite of Clutter. It’s a separate tab that shows you your most important emails. Or, at least what Outlook thinks are your high priority emails. Check it out. You will now have a separate Focused tab in your inbox. 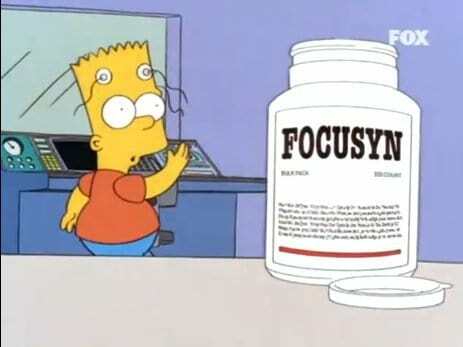 After setup is complete, you should see two tabs in your inbox called Focused and Other. 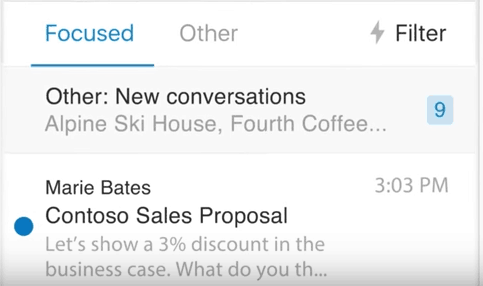 Focused Inbox will display messages that are intelligently prioritized based on an algorithm. Of course, this is software, so it might not be perfect. You can check the Other tab if you are not seeing a prioritized message. 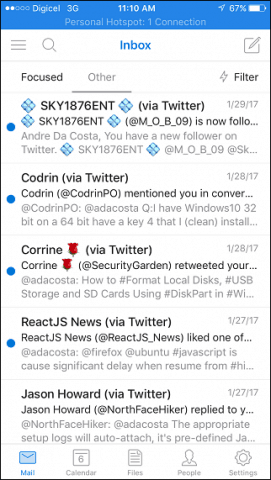 Are there any immediate benefits to using Focused Inbox? It’s kind of hit or miss so far, but Focused Inbox does ensure you see messages from the contacts you communicate with often based on my testing. This does not mean you should put all your faith in it and ignore the Other tab. Users can customize the behavior by moving messages to the Focused Inbox or vice versa, so, the algorithm gets better over time. I noticed there were quite a bit of spam messages within the Focused tab, which proves that Outlook has a little bit of a learning curve to start. Another issue I noticed is the inconsistency between functionality across clients. 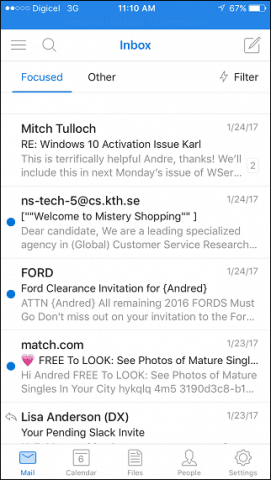 Focus on Outlook for iOS lacks the functionality found in desktop versions such as the ability to move between Focused and Other inboxes. Hopefully, with time, it will get better, but if you don’t like it, you can always disable it.